Health insurer Anthem has run into more trouble over its controversial emergency department policy that's leaving patients on the hook for big medical bills. The American College of Emergency Physicians and the Medical Association of Georgia together sued Anthem's Georgia subsidiary on Tuesday in a bid to force the insurer to kill the policy. Anthem Blue Cross and Blue Shield of Georgia has been sued over the ED policy before. In February, Atlanta-based Piedmont Hospital and five sister hospitals filed lawsuits claiming Anthem's policy of denying coverage for non-emergency ED visits after the fact violates Georgia law. But while Anthem tweaked the ED program in February in response to outrage from state legislators and the public, it has refused to rescind it. So ACEP—after months of back-and-forth with Anthem detailed in the lawsuit—is jumping into the mix. "This is a first step in the process and depending on how things play out, we would entertain filing in other states where Anthem is (implementing) the policy," said Laura Wooster, associate executive director for public affairs in ACEP's Washington office. Anthem's ED policy is active in six states. ACEP filed its first suit in Georgia because the state's medical association came forward as a potential partner in a lawsuit, Wooster explained. The lawsuit filed in federal court in Atlanta alleges that Anthem's ED policy harms healthcare providers and their patients. 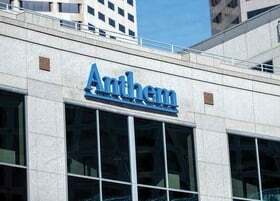 Anthem is denying providers the reimbursement they are owed for providing emergency services and causing providers to spend time and effort responding to "inappropriate denials," the suit alleged. ACEP and the Medical Association of Georgia argue the policy violates a slew of laws, the first being the "prudent layperson" standard, a law in most states and included in the Affordable Care Act that gives patients protection to seek emergency care and hospitals' assurance that they will be reimbursed. The standard requires insurers to cover the cost of emergency care based on symptoms, not final diagnosis. ACEP and other opponents of Anthem's policy say the insurer decides whether to deny or pay for emergency care based on a secret list of diagnostic codes that it won't publicly release. The complaint also states that Anthem did not request medical records when determining ED coverage, and instead relied on the codes provided in the claim only. But Anthem has said it is now reviewing records. ACEP and the medical association also allege that Anthem's policy violates the Emergency Medical Treatment and Labor Act, which requires emergency physicians to see anyone who comes to a hospital's emergency department. And they say it runs afoul to the Employee Retirement Income Security Act of 1974, or ERISA, as well as Title VI of the Civil Rights Act of 1964 for disproportionately affecting "members of protected classes." Anthem first rolled out its ED policy in certain parts of Kentucky in 2015 before implementing it in Georgia and Missouri in 2017. It later expanded the policy to Indiana, New Hampshire and Ohio. It had planned on rolling out the program in 2018 to all of the states where it operates health plans, but it's unclear if that's still the case. Anthem declined to comment on the lawsuit. At its core, Anthem's policy is about reducing the insurer's ED costs by paying for fewer claims. Seeking care in a hospital ED is undoubtedly more expensive that getting those same medical services at a doctor's office or walk-in clinic. And some ED visits are avoidable, though just how many varies widely depending on the source. Notably, the lawsuit mentions that Anthem Blue Cross and Blue Shield of Missouri's senior clinical officer, Dr. Jay Moore, said in a meeting with ACEP officials that 30% to 40% of ED visits are avoidable. But the Centers for Disease Control and Prevention has estimated that just 4.3% of ED visits in 2014 were for non-urgent symptoms. But opponents of the policy argue that Anthem is going about reducing costs the wrong way. It is putting the burden on patients' shoulders to self-diagnosis whether their symptoms are indeed an emergency at a time when the patient may be stressed. The prospect of being saddled with a huge bill could lead patients to skip care. "Just having this policy in place presents a chilling effect to patients and their decision to seek care for what could potentially be an emergency," Wooster explained. "It could result in them being left with their entire bill uncovered."